Victorian chef Sean Donovan is set to embark on a new venture after acquiring the leasehold business for the Town Hall Hotel in Fitzroy. Colliers International’s Pat Connolly and Will Connolly have facilitated the sale on behalf of another respected Melbourne chef, Harry Lilai, who moves on from the Town Hall Hotel after five years. “Based in the heart of Fitzroy, on busy Johnston Street, the Town Hall Hotel has a strong reputation and offers its new owner a platform to build on a proud and well established brand,” Mr Connolly said. The extensively refurbished hotel features a bright and spacious public bar, two dining rooms, a fully converted cellar now used as a private function and dining space, two fully equipped commercial kitchens and upstairs function space with original hardwood flooring. 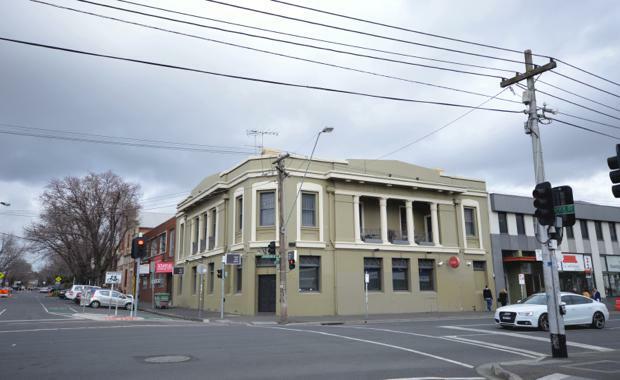 Mr Donovan will take over the Town Hall Hotel after selling his businesses at the Wayside Inn in South Melbourne and the Station Hotel in Footscray in 2014. Both hotels were purchased by Dixon Hospitality Group in leasehold sales negotiated by Mr Connolly. “Mr Lilai plans to either purchase or establish a café closer to home in the west of Melbourne after bidding a fond farewell to the Town Hall Hotel,” Mr Connolly said. Mr Donovan said he was delighted to be moving into Fitzroy.